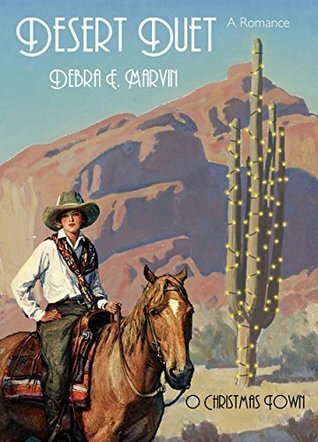 Desert Duet (2017) by Debra E. Marvin is a darling Christmas novella set in Arizona in 1933. This novella is part of the O Little Town of Christmas series. 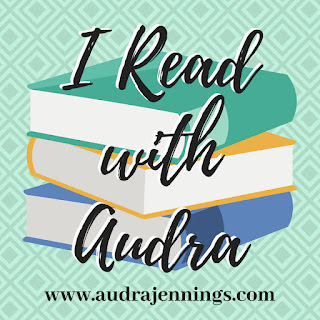 This little novella is jam packed: a little adventure, a suspenseful mystery, some no-good criminals, a loving Aunt and Uncle duo that reminded me of Ma and Pa Kettle, and a sweet romance that I thought developed very realistically over the course of the story. This book comes in all forms including eBook, and is 104 pages in length. With the holiday craze upon us and a very busy five-year old at home, this novella took me less than 24 hours to read. I purchased this novel from Amazon on December 3, 2017 to review. The opinions expressed in this review are my own. I give this novella 5 STARS. This book is a Historical Christian Romance with a nice twist of Suspense. Merry Christmas from Humbug. Wish You Were Here! It’s 1933 in the good old US of A. In the midst of drought, the Depression, and gangsters on the lam, America finds solace in Hollywood’s Golden Age. Ex-pilot Eugene Tanner, determined to pen the lyrics for the movie industry’s first “Best Song” award, books a rushed December stay at the remote Humbug Creek Guest Ranch (A Gold Mine of a Getaway!) Where better to find inspiration for an epic Western, than amid all that trail dust and burnt coffee? Thea Knight gives up her short holiday break from the studio’s costume department to play cowgirl hostess at her family’s struggling guest ranch. But instead of helping their witty and handsome guest, she becomes his biggest distraction. Old flames and past regrets take a backseat when the pair become embroiled in a ghost town mystery marring Humbug, Arizona’s rustic Christmas. Thankfully, the cowgirl is as fast with her Winchester as she is with her comebacks. What a fun read this little novella is! I thoroughly enjoyed my time in 1933 Arizona. The characters in this story are very well-written, the setting feels authentic, and the story line is so engaging. This book has everything a reader could want: mayhem, mystery, and romance. And, it’s set during Christmas, which I really loved. This is not your typical Christmas story — there is no snow, no carolers, and no decorated tree. Instead, there is an abandoned mine, a ghost town, and a rattler that means business. Oh, and John Dillinger, the bank robber, looking for a relaxing Christmas getaway! LOL! I really enjoyed getting to know Thea and Eugene. Both characters are quite endearing. I love how strong Thea is. She really knows how to take care of herself in the barren Arizona desert. Thea is a really feminine character, but a character with some serious backbone. And, Eugene is definitely a man’s man, but he has a wonderful vulnerability about him. He knows that in the Arizonan landscape he doesn’t really have the know-how to survive, so he often defers to Thea’s judgment when they are out on their adventures. What I love so much about Eugene’s character is he knows when to be the hero and step in, and when to acknowledge Thea’s abilities. To me, that is the testament of a real man! I really enjoyed my time reading this book. It is a quick and engaging read, and I will miss my time in 1930s Arizona. If you are looking for a unique Christmas read, then I cannot recommend Desert Duet enough! It does look like a fun read! LOl. Very useful at this time of year! Thanks so much for your kind words! i’m delighted you enjoyed Thea and Eugene’s story. I really loved this story and characters, and I even took a trip into the Bradshaw Mountains. They are such an unusual area. Part desert, part mountains, and yes, ghost towns! And oh how I love this cover! I loved this little story. It felt quite complete but….. I want to see what Thea and Eugene get up to next! They did go back to California! What mischief can they get into out there? Thanks for the review. I wholeheartedly concur!